Even though she’s the first ever woman to be a “Champ-Champ,” Amanda Nunes is not interested in defending her featherweight championship. So much so, Nunes continues to look at chasing history and drop down to 125 pounds and face Valentina Shevchenko for the UFC flyweight title. 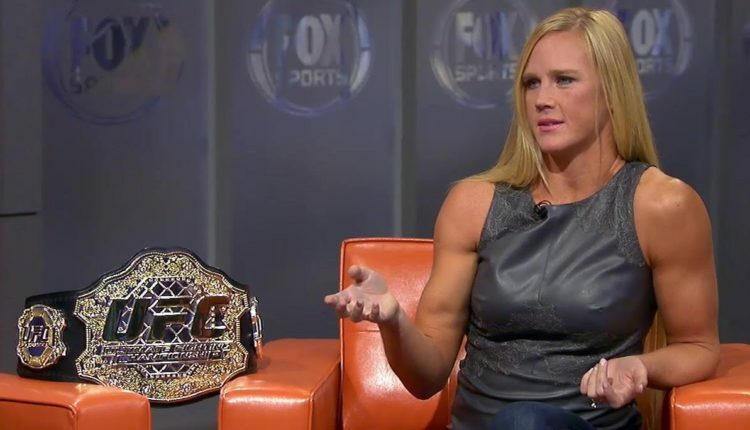 One person looking to battle Nunes is Holly Holm, who returns to the Octagon at UFC 235 in a bantamweight showdown with undefeated Aspen Ladd. “It just shows how styles make a difference,” Holm said of Nunes first round drubbing of former champion Cris Cyborg at UFC 232 in December. “So Amanda can’t look at a fight with Cyborg and say, ‘Well, I beat Cyborg, and Cyborg beat Holly, so I can beat Holly.’ It’s just styles make a difference. You look at the fight with Shevchenko and Nunes. It was more of a battle, more of a death match, more of a game like that. And Nunes had a hard time with Shevchenko, who is now a 125-pound champ, but she was able to knock out a 145-pound champ. You look at there’s a 20-pound difference in between that and when they fought at 135 it was just a whole other game.